108|Contemporary originated as Brady Craft Alliance in 2009. For four years, Brady Craft Alliance brought craft artists to the area with exhibitions like VisionMakers and Crafting Ritual & Identity, our first Oklahoma invitational exhibition. We decided to create a new identity for ourselves to acknowledge our move to the Mathews Warehouse complex in 2013. The Tulsa Arts District is overflowing with energy and entertainment, and we wanted to match it with a new vision with programming and more ambitious exhibitions. Our top priority is to inspire, educate, and recognize contemporary art that honors traditional art practices and the quality of which it’s made. Before the move, the Mathews Warehouse was a massive space with gravel floors that complemented the feeling of vacancy. The George Kaiser Family Foundation funded the project that turned this abandoned warehouse into a thriving home for the arts. They fulfilled the requirements sets by the National Parks Service to designate the warehouse as a ‘Certified Historic Structure.’ Thus, creating a landmark for the arts so that the community could enjoy unique exhibits, artist studios, and a multitude of learning opportunities. 108|Contemporary made its official debut on Friday, March 1st with the opening of Tapestries of Jon Eric Riis, which showcased extraordinarily ornate jackets and tapestries. We are known for our drive and dedication to educate the public on the true definition of contemporary fine craft. Since opening, we have connected our audiences with cutting-edge artworks and techniques from artists in Oklahoma and abroad. Exhibitions like 2016’s Savages & Princesses: The Persistence of Native American Stereotypes and 2017’s Both Sides Now: Joyce J. Scott & Sonya Clark have given a platform to marginalized artists to create conversations on race, representation, and injustice. We have made an impact in the community with the statewide knitting collaboration, The Unbearable Absence of Landscape in 2015, which became the most massive knit bombing in the state with 400 collaborators using over 160 miles of yarn. Craft is prominent in Oklahoma, and we strive to educated and develop unique connections with our community by drawing attention to contemporary pieces found in our home state and from around the world. 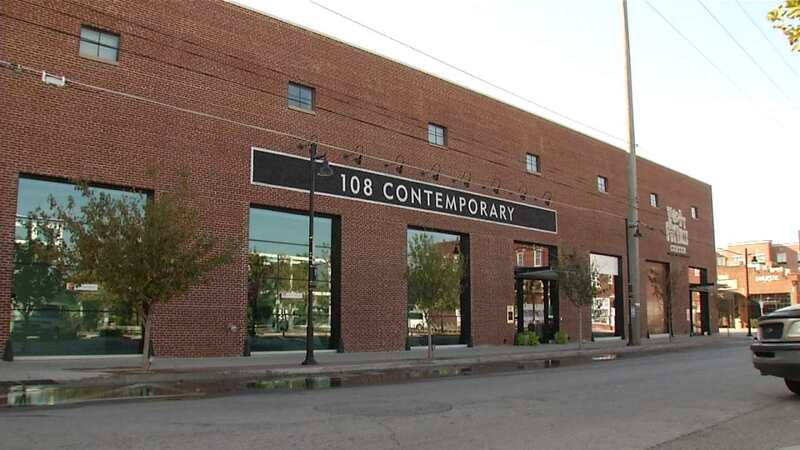 108|Contemporary is a non-profit community arts organization that supports Oklahoma’s contemporary fine craft artists by connecting them with audiences and opportunities through education, recognition, and exhibition programming. Our vision is a community where world class craft and design exhibition programming inspires and educates audiences of all ages; where Oklahoma’s cultural traditions flourish and local artists thrive. 108|Contemporary is located at 108 East Mathew Brady Street, Tulsa, OK 74103.